19 Nov 2018 --- Following a gluten-free diet can lead to a reduction of intestinal discomfort, such as bloating, but this may be due to a change in dietary fiber composition, suggest Danish researchers. The University of Copenhagen study notes that the healthy, gluten-free diets in their study required a shift of fiber sources from wheat and rye to vegetables, brown rice, corn, oat and quinoa, and that certain health improvements were down to these sources – not the absence of gluten. The study demonstrates the need for fiber-enriched, good quality, gluten-free options on the grocery shelves for those who need to follow a gluten-free diet, as well educating people who choose to follow the diet out of choice or perceived health benefits from the absence of gluten alone. 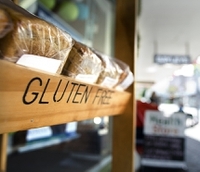 Consumers continue to be attracted to the gluten-free lifestyle and food offerings carrying the tag have gained a strong foothold in the marketplace over the past years. Innova Market Insights data have shown that gluten-free claims saw an average annual growth of 24 percent between 2013 and 2017. “We find dietary fibers – not the absence of gluten alone – to be the primary cause of the changes in intestinal discomfort and body weight. By now we think that our study is a wake-up call to the food industry. Gluten-free may not necessarily be the healthy choice many people think it is,” says Professor Oluf Pedersen, principal study investigator, Novo Nordisk Foundation Center for Basic Metabolic Research at the University of Copenhagen. gluten-free options in food and beverages are on the rise. The researchers undertook a randomized, controlled, cross-over trial involving 60 middle-aged healthy Danish adults with two eight week interventions comparing a low-gluten diet ( 2g gluten per day) and a high-gluten diet (18g gluten per day), separated by a washout period of at least six weeks with a habitual diet (12g gluten per day). Based on their observations of altered food fermentation patterns of the gut bacteria, the researchers conclude that the effects of low-gluten diets in healthy people may not be due to reduced intake of gluten itself but rather due to a change in dietary fiber composition by reducing fibres from wheat and rye and replacing them with fibers from vegetables, brown rice, corn, oat and quinoa. “We demonstrate that, in comparison with a high-gluten diet, a low-gluten, fiber-rich diet induces changes in the structure and function of the complex intestinal ecosystem of bacteria, reduces hydrogen exhalation and leads to improvements in self-reported bloating. Moreover, we observed a modest weight loss, likely due to increased body combustion triggered by the altered gut bacterial functions,” says Pedersen. 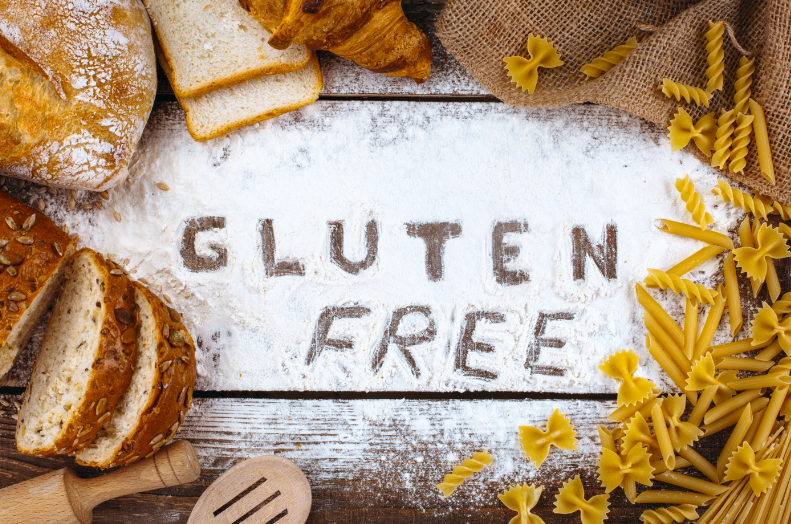 A low-gluten diet has previously been recommended to diminish gastrointestinal symptoms in patients with inflammatory bowel diseases and irritable bowel syndrome, disorders which occur in up to 20 percent of the general Western population. “More long-term studies are needed before any public health advice can be given to the general population,” says Pedersen. “Such initiatives may turn out to be key for alleviating gastrointestinal discomfort and in addition to help to facilitate weight control in the general population via modification of the gut microbiota,” he concludes. In previous findings, Researchers from the University of Minnesota also expressed concern about the “healthy” tag some people automatically attribute to gluten-free living. The researchers found that among young adults, valuing gluten-free foods could be indicative of an overall interest in health or nutrition. These young adults were more likely to engage in healthier behaviors including better dietary intake and also valued food production practices (e.g., organic, non-GMO, locally sourced). However, they were also more likely to engage in unhealthy weight control behaviors, such as smoking, using diet pills or purging and over-concern about weight. Consumers are continuously searching for healthy eating patterns that suit them, and gluten-free is just one diet that has proven to be popular. However, with growing studies on the topic – such as the Danish study at hand – consumers can tweak their gluten-free diets to be as healthy as possible, as well as the food industry working to supply fiber-rich, gluten-free foods.